But the department has said it will not investigate the cause of the explosion, the Register reports. Our thoughts and prayers are with the two victims who were injured in this propane tank explosion in Garden Grove. We wish them the very best for a speedy and full recovery. 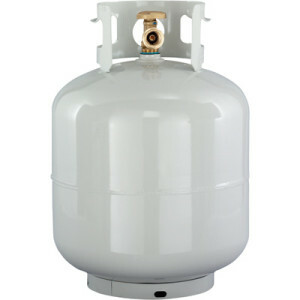 Propane is an extremely flammable gas that must be handled with great care. It is a heavy gas and can accumulate in low-lying areas such as basements and floors, resulting in an explosion. Even when contained in cylinders, propane gas can build up pressure when exposed to extreme heat and can rupture the tank and explode. In this particular case, the explosion seems to have occurred when an employee and a customer at the station were attempting to fill a tank. There are still several unanswered questions here. What caused the explosion? Was there some type of defect and malfunction? Was the filling station where this occurred properly maintained? Are all employees at the station provided with proper job and safety training to prevent these types of incidents? We hope a thorough investigation is underway to look into what caused this explosion. It is important in such cases that injured victims seek the counsel of an experienced Orange County personal injury lawyer who will examine all facets of the incident and ensure that the negligent parties are held liable. Injured workers can seek workers’ compensation benefits from their employer. In some cases where there is negligence on the part of other parties such as a defective product manufacturer, a third party claim could also be filed. Burn injury victims often end up suffering permanent injury, scarring and disfigurement and the cost of treating these types of injuries could also go up very soon. A knowledgeable attorney can help you secure the compensation you rightfully deserve while holding those at fault accountable.